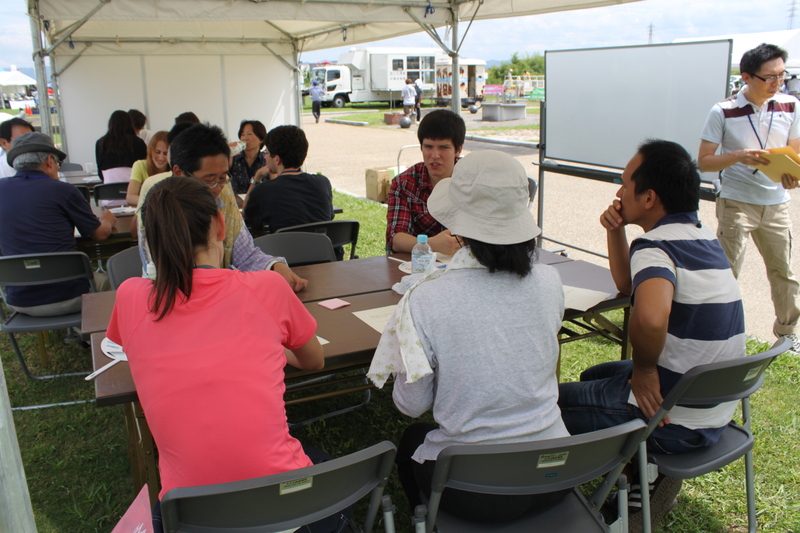 The Town of Seika is looking for foreign nationals (including those from outside Seika) to participate in disaster preparedness training on Sunday, August 25th, 2013. Details may be found here in both English and Simple Japanese. Hope to see you there. Hi! This is Alice, the CIR at Kyoto Prefectural International Center. Today I would like to write about disaster preparedness. After the Great Kanto Earthquake in Tokyo in 1923. 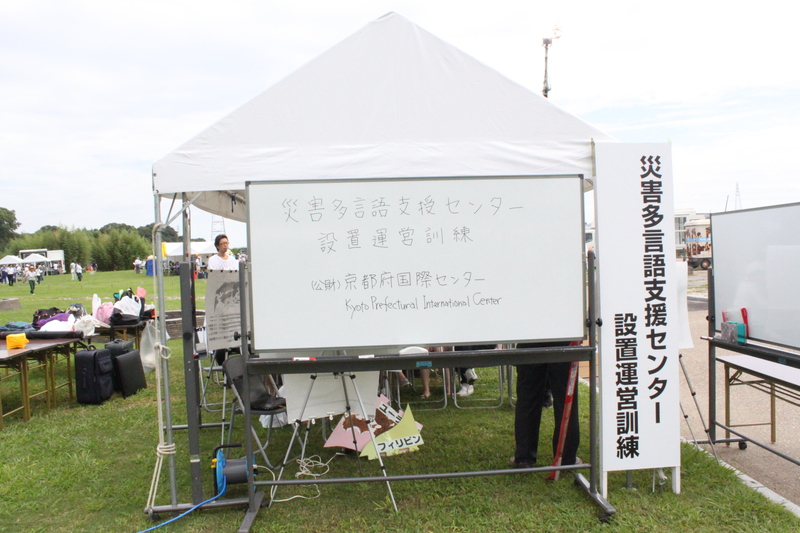 Japan has marked September 1st as national disaster preparedness day. 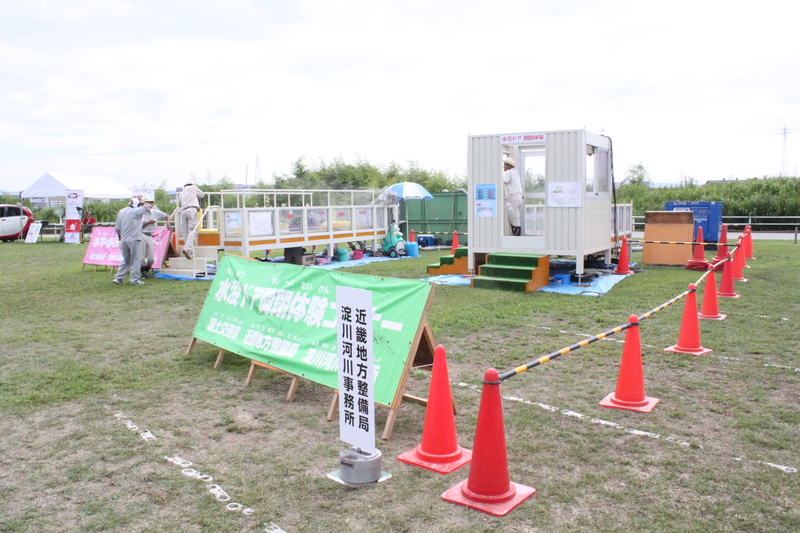 On September 2nd, all five of the Kyoto CIRs posting on this blog participated in a disaster drill taking place in Oyamazaki, a town located 30min from Kyoto City. Participants included 5 Coordinator for International Relations of Kyoto Prefecture (Seika, Kameoka, Kizugawa, Kyoto Prefectural Office and Kyoto Prefectural International Center CIRs), Kyoto Prefectural International Center volunteers and counselors, as well as a Kyoto Friendship Ambassador from Ukraine. 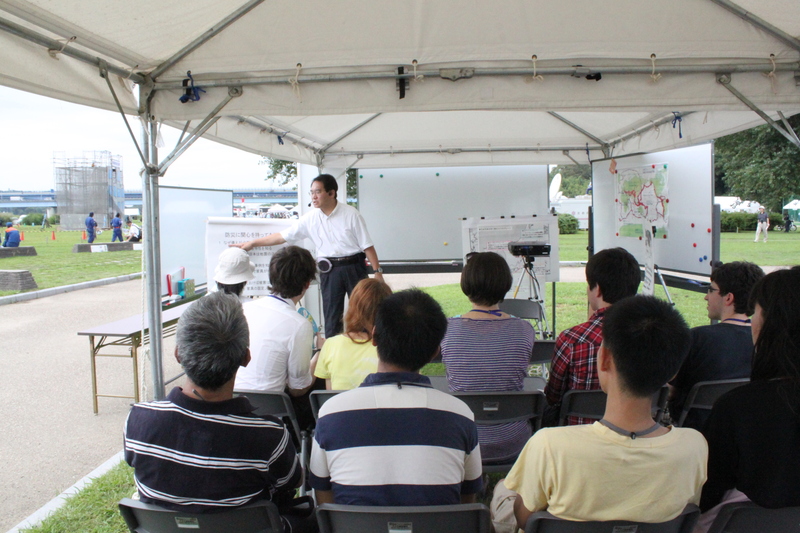 In the event of a natural disaster, all of these people would be directly involved in providing support and assistance to international residents, so this training was aimed at providing basic knowledge about natural disasters in Kansai and how to be prepared for them. To begin with, we had a lecture about why Japan, particularly in recent years, is so prone to natural disasters, including the Great East Japan earthquake as well as the recent flooding in Uji. Earthquakes are the result of tectonic plate movements, and these movements occur in bursts lasting around of 40 to 50 years, each cycle starting with small but frequent disasters, and ending by a big one. Therefore, the predicted “Nankai Earthquake” that is expected to occur at some point in Kansai is part of the current cycle and is thought likely to occur before 2040. We then heard about the basic procedures and measures to adopt during a natural disaster, most importantly to ensure one’s own safety and to be prepared to be able to survive by oneself for up to 3 days after a disaster, by which point rescue services should have arrived. Afterwards, we were free to walk around the area and check out the different booths and displays. We had the opportunity to experience many different aspects of a potential disaster, such as walking in a flooded area over uneven ground and trying to open a door in a partially flooded room. Did you know that if there is more than 30cm of water behind the door you are trying to open, it becomes very difficult to do so? 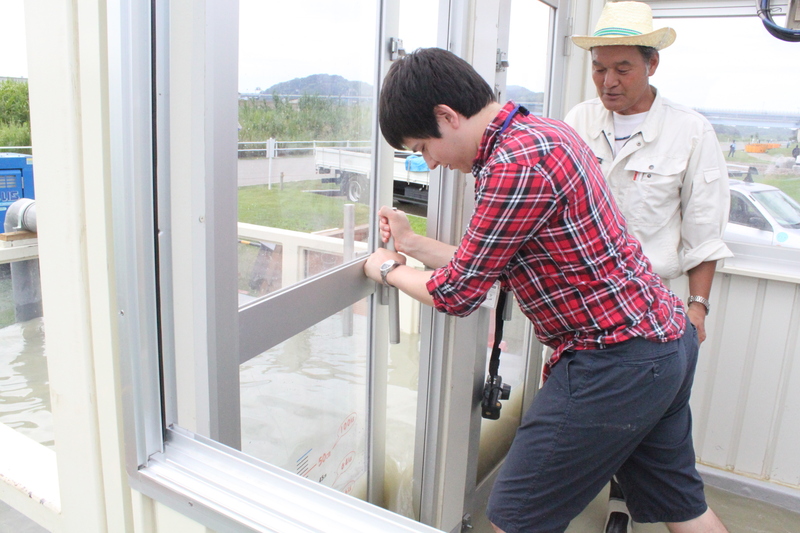 If the water level reaches 50cm, the resistance is equal to pushing 100kgs… Lesson learned: open the doors as soon as you can before being trapped! Another interesting experience was using the 171 disaster message line, where you can type your phone number and leave a voice message for your friends and family about your current situation. People can then listen to your message by calling 171 and entering your number. This is a very useful service that should be better known by both the Japanese and the international community in Japan. This was the 3rd disaster drill I had participated in and I still learned new things again. You can never be too prepared, so please try to participate in your local community’s next disaster drill if you can!